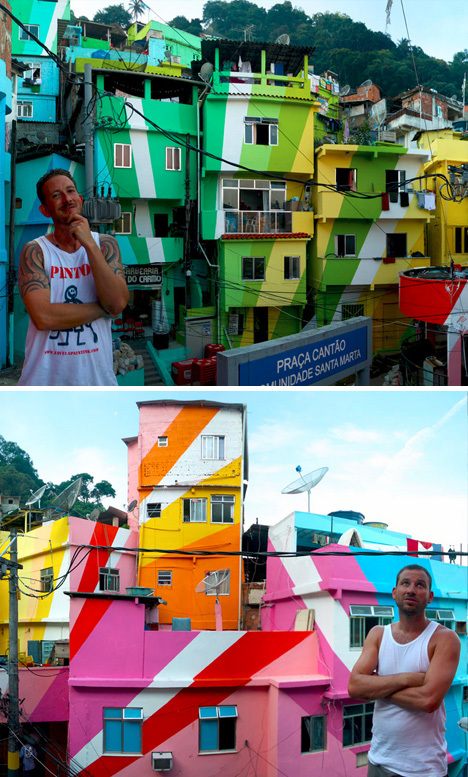 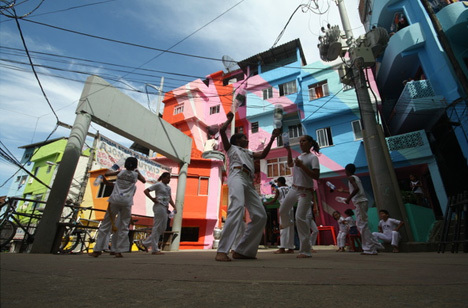 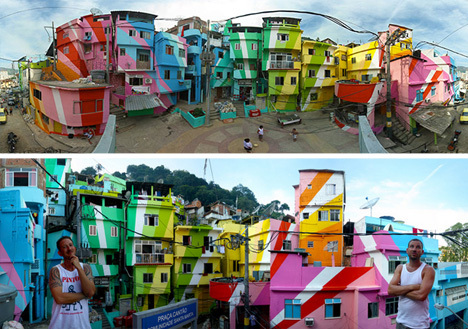 Previous efforts of Favela Painting transformed 34 buildings in Rio de Janeiro via huge rainbow-colored community mural, creating jobs and beautifying an area often feared by outsiders. 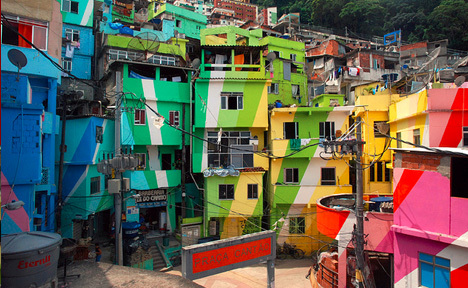 This time they are raising funds on Kickstarter to head back to Brazil and paint an entire favela with over 100 hillside homes. 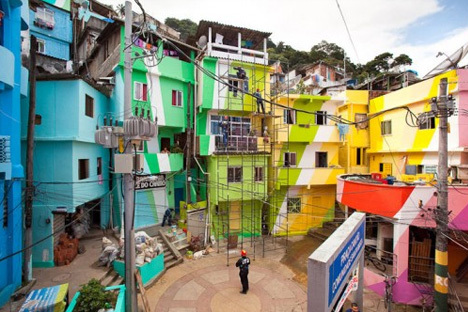 The results of work by Haas&Hahn to date have been multifaceted, including international recognition for dilapidated and under-served neighborhoods and positive attention to these as destination landmarks rather than faceless slums. 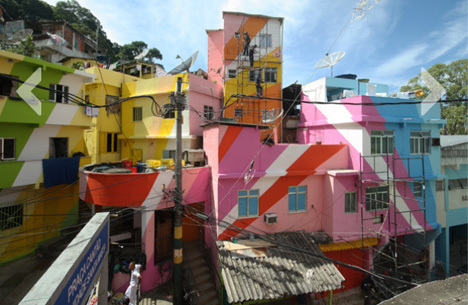 Using a spectrum of colors, each building receives a distinctive and unique design, yet a sense of unification is achieved across an area at the same time.